Multiple award-winning filmmakers, JULIE TAYMOR and MATTHEW HEINEMAN to receive highly-esteemed recognition for their prolific and transformative contributions to the art of film while Heineman's A PRIVATE WAR, starring ROSAMUND PIKE, JAMIE DORNAN and STANLEY TUCCI earns the closing night film slot, followed by Q&A, and a special tribute screening of ACROSS THE UNIVERSE followed by Q&A with director/writer JULIE TAYMOR and composer ELLIOT GOLDENTHAL all set to take place at the 2018 Woodstock Film Festival. WOODSTOCK, NY (August 21, 2018) - The Woodstock Film Festival is thrilled to announce its 2018 top honorary award recipients: Tony®, Emmy®, and Grammy® winning and Oscar® nominated filmmaker, Julie Taymor will receive the honorary Maverick Award at the 19th annual Woodstock Film Festival. Oscar® nominated and Emmy® award-winning director Matthew Heineman will receive the Filmmaker Award of Distinction during that same time. The Maverick Awards ceremony takes place on Saturday, October 13, 2018 at Backstage Studio Productions in Kingston, NY. Additionally, Heineman's feature narrative debut, A PRIVATE WAR, starring Rosamund Pike, Jamie Dornan and Stanley Tucci will close the film festival on the evening of Sunday, October 14th and Taymor's globally renowned ACROSS THE UNIVERSE will have a special tribute screening on the morning of October 14th. Both films will be followed by Q&As. The 19th annual Woodstock Film Festival takes place from October 10-14, 2018. The honorary Maverick Award will be presented to Taymor on Saturday, October 13, at the Woodstock Film Festival's Maverick Awards Ceremony at Backstage Studio Productions in Kingston, NY from 9PM-11PM, with a cocktail reception and live music beginning at 730PM. The Woodstock Film Festival's Maverick Award is traditionally given to an innovator and independent spirit in film and media arts who has demonstrated a unique vision and creative path, bringing a strong and widespread appreciation of quality and substantive change to the arts. "Julie Taymor is an extraordinarily gifted director, whose unique artistry and unflinching vision brought us the most memorable visual creations both on stage and on screen" said Woodstock Film Festival Co-Founder and Executive Director, Meira Blaustein. "It is a privilege to present Taymor, a woman of remarkable talent and success, with the honorary Maverick Award this year." As a Tony®, Emmy® and Grammy®-winning, and Oscar®-nominated filmmaker, Julie Taymor has conquered both stage and screen with her innovative direction. Her award-winning films include FOOL'S FIRE, OEDIPUS REX (starring Jessye Norman), TITUS (starring Anthony Hopkins and Jessica Lange), FRIDA (starring Salma Hayek), her musical ACROSS THE UNIVERSE, THE TEMPEST (starring Helen Mirren), and a cinematic version of William Shakespeare’s A Midsummer Night’s Dream, filmed during her critically acclaimed, sold-out stage production at Theatre for a New Audience in Brooklyn. She is currently prepping a feature film of Gloria Steinem’s "My Life On The Road", starring Julianne Moore, and a TV Series, Hackabout, based on Erica Jong’s book, "Fanny". © 2007 Revolution Studios Distribution Company, LLC. All Rights Reserved. Perhaps most known for her Tony award winning Broadway adaptation of The Lion King, Taymor also received Tonys for Best Director and Costume Designer. The show has played over 100 cities in 19 countries, and its worldwide gross exceeds that of any entertainment title in box office history. Other theatrical achievements include Grounded (starring Anne Hathaway), Broadway’s Spider-Man: Turn Off the Dark, The Green Bird and Juan Darien: A Carnival Mass, which earned five Tony Award nominations, including one for her direction. Operas include Oedipus Rex, The Flying Dutchman, Salome, Die Zauberflote, The Magic Flute (which inaugurated a PBS series entitled “Great Performances at the Met”), and Elliot Goldenthal’s Grendel. Most recently, she directed M Butterfly, starring Clive Owen, on Broadway. 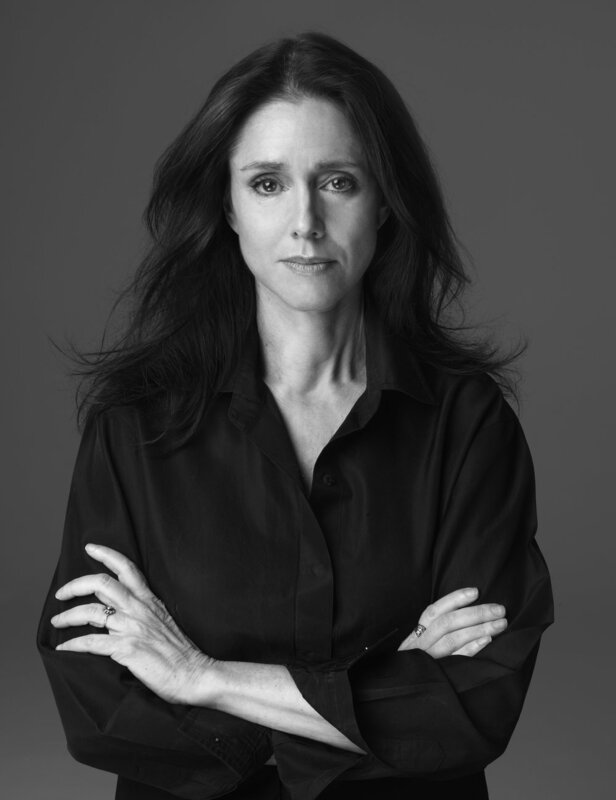 Taymor is a recipient of the 1991 MacArthur Genius Fellowship, a 2015 inductee into the Theater Hall of Fame for Lifetime Achievement in the American Theater, the recipient of the 2015 Shakespeare Theatre Company’s William Shakespeare Award for Classical Theatre, and a 2017 Disney Legends Award honoree. A special tribute screening of ACROSS THE UNIVERSE will take place on Sunday, October 14, at the Woodstock Playhouse, followed by a Q&A with director Julie Taymor and composer Elliot Goldenthal. Purchase tickets here. The Woodstock Film Festival’s Filmmaker Award of Distinction recognizes the passionate cinematic voice of a visual storyteller who boldly marches into both documentary and narrative forms, marshaling his creative vision in pursuit of the truth. 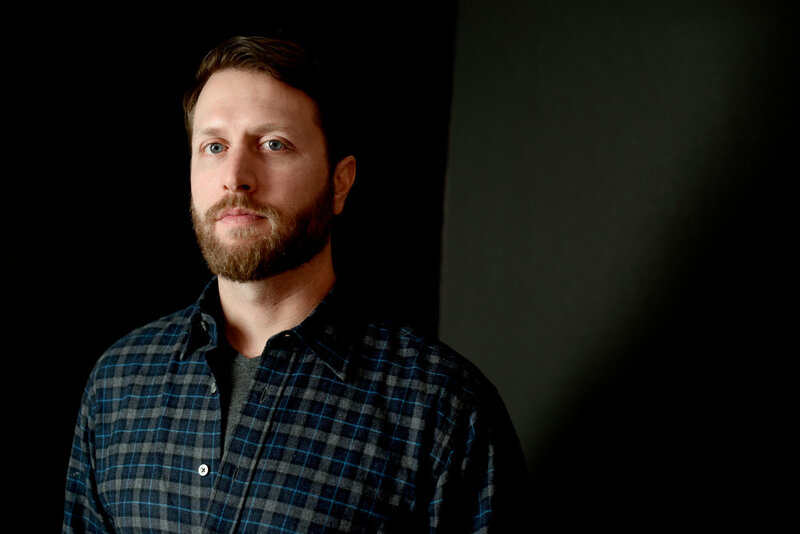 Matthew Heineman is an Academy Award®-nominated and Emmy Award®-winning filmmaker, who has won two Outstanding Directorial Achievement in Documentary Award from the Directors Guild of America (DGA), one of only three directors to win the prestigious honor twice. Known for his courageous documentaries, Heineman has now brought his empathetic sensitivity to his first narrative feature, A PRIVATE WAR, the story of legendary war reporter Marie Colvin. The film stars Oscar nominees Rosamund Pike and Stanley Tucci, as well as Jamie Dornan and Tom Hollander. Heineman recently directed and executive produced THE TRADE, an acclaimed five-part docu-series that chronicles the opioid crisis through the eyes of those most affected – growers, cartel members, users, and law enforcement. THE TRADE premiered at the 2018 Sundance Film Festival before airing on Showtime. His 2017 documentary feature, CITY OF GHOSTS, follows a group of citizen-journalists exposing the horrors of ISIS. In addition to winning him a second DGA award for Outstanding Directorial Achievement in Documentary, the film also won the Courage Under Fire Award “in recognition of conspicuous bravery in the pursuit of truth,” was listed on over 20 critic and year-end lists for Best Documentary, and was nominated for a BAFTA Award, PGA Award, and IDA Award for Best Documentary Feature. His 2015 DGA award-winning documentary, CARTEL LAND, explores vigilantes taking on the Mexican drug cartels. It was nominated for an Academy Award for Best Documentary Feature, won three primetime Emmy Awards, garnered Heineman Best Director Award and Special Jury Prize for Cinematography at Sundance 2015, as well as the Courage Under Fire Award from the International Documentary Association, and the George Polk Award in Journalism. Previously, Heineman co-directed and produced the feature-length, Emmy-nominated documentary ESCAPE FIRE: THE FIGHT TO RESCUE AMERICAN HEALTHCARE, collaborated for two years on the Emmy-nominated HBO series The Alzheimer's Project, and directed and produced OUR TIME – a feature length documentary about what it's like to be young in today's America. The 19th Annual Woodstock Film Festival's Closing Night film will be Heineman's debut feature narrative, A PRIVATE WAR. The film will play on October 14 at the Woodstock Playhouse. Purchase tickets here. Tickets for the Maverick Awards Gala & Ceremony can be purchased here. Additionally, Full Festival Passes are on sale now, with individual ticketing info being released in early September. The Woodstock Film Festival returns October 10-14, 2018 for its 19th edition with an extraordinary line-up of fiercely independent films, panels, concerts and special events in Woodstock, Rhinebeck, Kingston, Rosendale and Saugerties.